There are no comments for Two Plus Two. Click here to post the first comment. 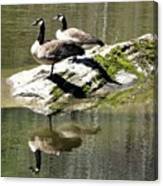 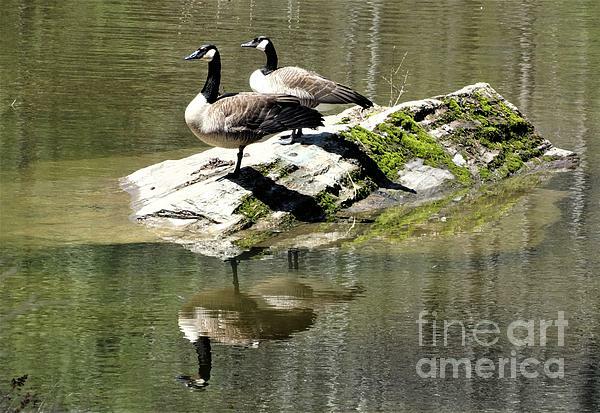 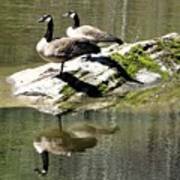 Geese and their shadows reflected off a rock in the center of a pond.